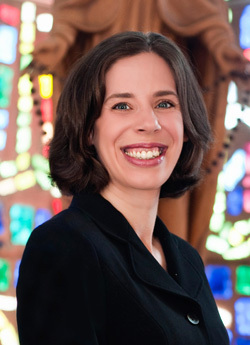 Mary Beth Yount, director of content and programming for the World Meeting of Families in Philadelphia. Pilgrims attending the World Meeting of Families in Philadelphia this September will be given the opportunity to hear inspirational and possibly life-changing messages from the 135 presenters scheduled to speak at the four-day congress, Sept. 22-25. The various topics discussed in six keynote addresses will guide listeners in the 71 follow-up breakout discussions from which they may choose after each keynote. The first step is the preparatory catechesis, the foundation on which a World Meeting of Families rests. The host diocese for each World Meeting writes a preparatory catechism that guides the proceedings. It contains a collection of Catholic teachings about the purpose of human life, marriage and the family, and addresses all stages of life. Yount formed a Titles Committee to sift through the material and write topics for the congress that were compelling and what she described as “fun,” all designed to pique the interest of attending families. Another committee suggested which speakers would be chosen, based on the individual topics. “We wanted speakers who were engaging and who could offer practical takeaways on how to help change lives,” Yount said. The congress will generally follow the format of a one-hour keynote speech followed by the participant’s choice of one of more than a dozen one-hour breakout sessions. 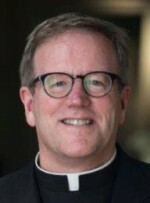 Father Robert Barron, perhaps one of the most sought after Catholic speakers today and host of the popular video series “Catholicism,” will be the first keynote speaker in the afternoon of the congress’ first day, Tuesday, Sept. 22. He will speak on “Living as the Image of God: Created for Joy and Love.” No breakout sessions are scheduled after his talk. On Wednesday morning Cardinal Robert Sarah will deliver the keynote address in the morning followed by 14 breakout sessions. Helen Alvare will offer the keynote in the afternoon followed by another 15 breakouts. Thursday morning will see a husband-and-wife team, Dr. Juan Francisco de la Guardia Brin and his wife, Gabriela N. de la Guardia, speaking about the meaning of human sexuality, in their keynote speech. Fourteen breakouts will follow in the morning session. No afternoon keynoter for Thursday has been determined at this time. Nevertheless, another 13 breakouts will be offered that afternoon. On Friday, the closing day, Cardinal Sean O’Malley of Boston and evangelical pastor Rick Warren will team up for the morning keynote before 14 more breakouts and the conclusion of the congress. Yount said an expected crowd of about 15,000 people will attend the keynote talks, and her planning committee expecting 1,000 people to attend each of the breakout sessions. For specific session information, biographies of the speakers and times of the talks plus registration information, visit www.worldmeeting2015.org/. I found cardinal Barron opening speech ‘Living as the image of God:Created for joy and Love,so spirit-uplifting.How can I get a copy of the speech?